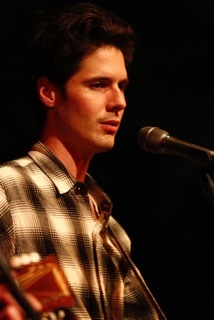 Americana act, The Cactus Blossoms fronted by fresh-faced brothers Jack Torrey and Page Burkum put on a terrific show of close harmony (akin to the Everly Brothers) on their return to the area. 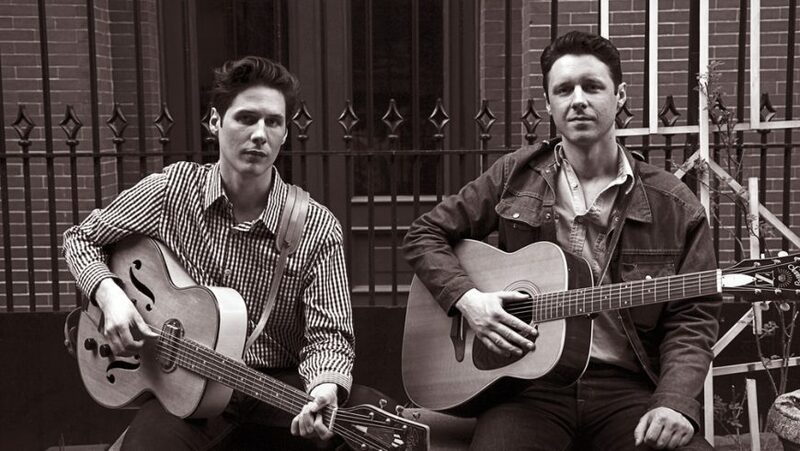 The Cactus Blossoms bring to life music of a past era; one when country, folk, rock’n’roll and pop would merge, seamlessly and could be heard on the radio they are now adding to it. Coming near the end of their tour the boys were well in the groove, and with the likes of popular tunes “Stoplight Kisses”, “Clown Collector” and arguably my favourite “Adios Maria”, the Minnesota boys gave the audience what they had come to hear. From the beginning to them bowing out with a richly deserved encore that included a cover of the Beatles’ “This Boy” as they paid tribute to the country they were playing, it was wall-to-wall quality. Their wonderful voices, supported by their own electric and acoustic guitars, plus electric lead guitar who placed a firm and creative stamp on the evening, bass and drums the five-piece put on an exciting and near faultless show. As expected the majority of the material came from their current album You’re Dreaming, they also introduced a new song I took to be “I Am Goin’ To Take You Downtown”. Like when borrowing, a hypnotic Rhumba beat the audience could not have been better served. With some incredible lead guitar, and their pure vocals, Torrey’s distinctive lead was enough to captivate me for the duration —as more than one could have wished for was delivered. His pure incisive tones never once over-stepped the mark or left insufficient room for Page’s harmonies to register and round off any edges. They gave full justice to Waylon Jennings’ hit classic “Only Daddy That’ll Walk The Line” and a heart-stopping song written by Charlie Rich’s wife, Margaret Ann Rich “Life Has It’s Little Ups And Downs” as yet more icing was placed on the cake. In all instances they were to perform covers they both showed respect for the original, and simultaneously brought a drive and newness to each and every one. Never more so than their electric version of The Kinks’ “Who’ll Be The Next In Line”, a song they have literally turned on its head to become one of their own! Others of note included stunning piece “Mississippi”, “You’re Dreaming” and the one they left the audience with “Traveler’s Paradise” plus “Queen Of Them All”. Support from UK rock’n’roll kings, Howlin’ Ric & The Rocketeers could not have been more suitable, and with them performing some of finest original tunes imaginable (and them all playing out of their skin) the night was set up. Long after they had finished their show people were still discussing the work of the five-piece, that included some staggering sax playing and such songs as “Ella Mae”, “Cannonball” and the wonderful “Secrets & Lies”, plus with a nod to Bo Diddley “Stop Checkin’ On Me”. What a night.